Free shipping to United States with $39 purchase from FestiveFetti. See item details below for sale terms. 💚 This football themed confetti mix contains 4 football die-cuts along with green, brown and white confetti along with die cut words that read "touchdown" and "fieldgoal" (2 of each) and matching sequins in green, brown and white. 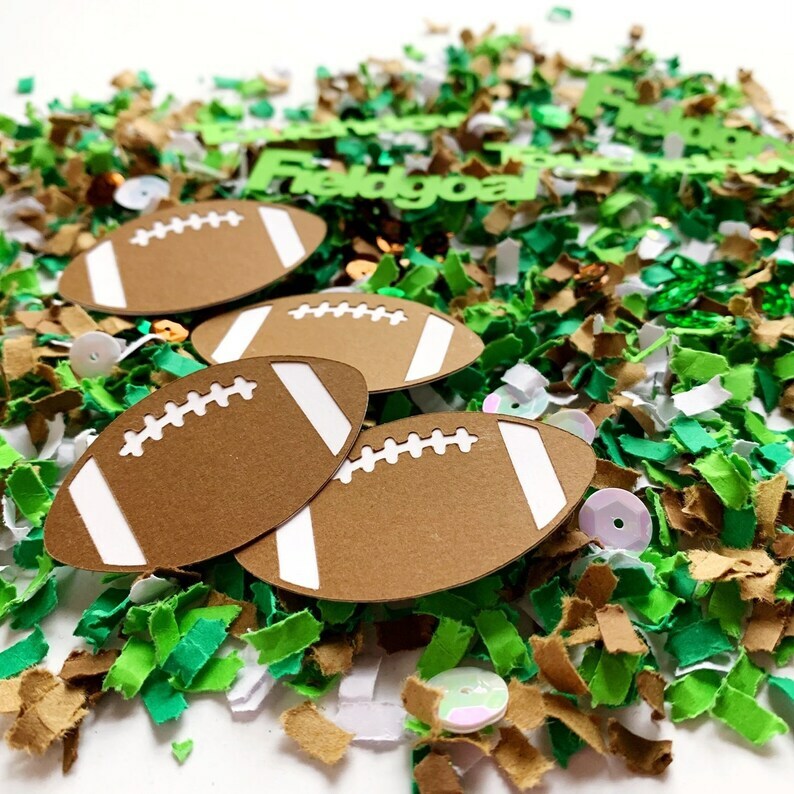 💚 You will receive 1 1/2 cups of confetti PLUS matching sequins for extra sparkle AND 4 football die cuts, 2 "touchdown" die cut words and 2 "fieldgoal" die cuts per bag. 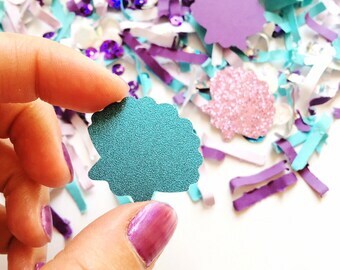 The football die cuts make easy DIY cupcake toppers. Simply send me a convo and let's get started designing what you're dreaming of. Shipping is just $3 for the first bag and 15 cents for each additional bag. Ships via first class mail within 1-3 business days of ordering. Please allow up to 10 days to receive your order from shipment. Need this sooner? Ask me about upgraded Priority Shipping. * Free Shipping Offer Does Not Apply to Custom Orders. ** Full details on each product can be found on the right side under the add to cart button - simply expand "+ Learn more about this item" under Item Details to see the full item description. Oh my gosh. 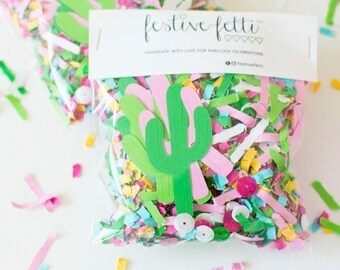 This is the most adorable confetti and will be absolutely perfect for my daughter’s fiesta themed graduation party. Thank you for the little surprise tucked away in there for her. She loved it. Exceptional service and communication and speedy shipping. Will purchase from again. 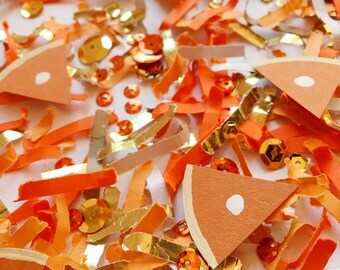 Confetti is even more gorgeous in person than in the photos. I do offer wholesale for boutiques & event planners. Please message me for a custom order. Pricing varies based on amount and type of product being created. Are you looking for something that you don't see in my shop? I LOVE custom requests and would be thrilled to help with your design. Please message me with a description and any photos if you'd like along with your time frame for completion.